Your daily SPF 50 requirement. 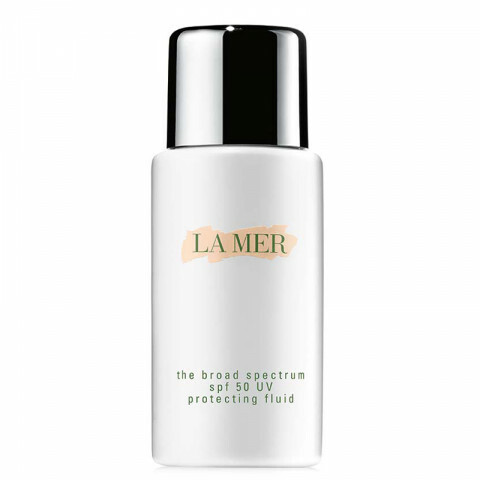 Let this luxurious, quick-absorbing fluid defend skin against everyday exposure to UV rays. Designed to be worn over your moisturizer or under makeup, this soothing, lightweight lotion infuses skin with the sea-sourced renewing energies of Miracle Broth™. How to use: Apply a dime-sized amount into palm of hand. Using fingertips, apply all over face and neck, over your moisturizer or under makeup. great lightweight moisturizer for the summertime. i love taking this with me on vacation. works really well at keeping skin hydrated but not feeling greasy. Finally, a daily high-protection sunscreen that is light, fast-absorbing and leaves a matte finish, it's fantastic and comfortable! always feel so safe under the sun after applying this. It's very thin in consistency, and not oily at all! LOVE IT SOOOO MUCH! i have tried several brands but this suits perfectly for my sensitive skin, I will keep purchasing it for life.